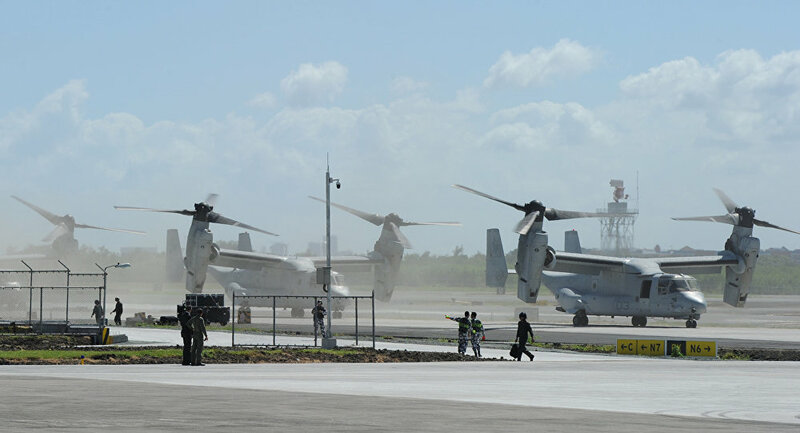 WASHINGTON (Sputnik) — The US Navy has ordered another $38.8 million worth of repairs on different parts of the controversial V-22 Osprey tilt-rotor aircraft, the Department of Defense announced. "Bell Boeing Joint Program Office, California, Maryland is being awarded [a] $38.8 million… contract for repair of various parts on the V-22 aircraft," the announcement stated on Thursday. The V-22 Osprey flies farther and faster than traditional helicopters, overcoming traditional combat theater challenges. The aircraft’s high speeds allow for rapid rescue of downed pilots and its longer range would allow for seamless fleet repositioning in a prospective Asia-Pacific theater. However, the V-22 has had at least seven hull-loss accidents resulting in at least 36 fatalities. Thirty fatalities occurred during testing between 1991 and 2000, and at least six other fatalities occurred in combat after the craft became operational in 2007.